iTube Studio is the most powerful software on the internet that not only gives you the opportunity to download videos from YouTube, but over 10,000 video sharing sites as well. What's so interesting about this program is that any user that is able to turn on a computer can download their videos in an MP4 format with one single click. Said in simple terms, once you have installed this incredible software, whenever you play a video within your web browser, a download icon will activate as to wish you can easily click and download all your videos. Ability to download videos from some of the most popular websites on the web such as Facebook, Vimeo, YouTube, Daily Motion, AOL, Break And Metacafe just to name a few. 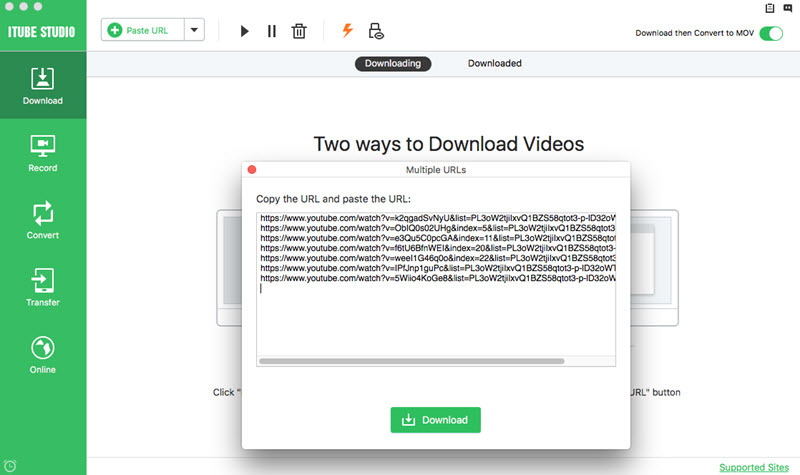 Multi-threaded - With its multi-threaded technology, it is able to download multiple videos at a time into different segments. 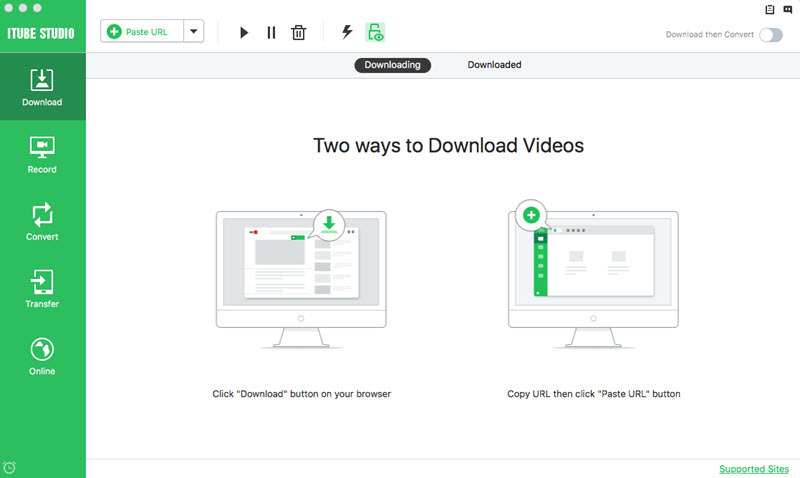 One click converter - Its built in converter allows you to convert your videos to the exact format you need with one click. Set it and forget batch download - With its batch download feature you can schedule a batch download and leave your computer on and it will automatically shut down, once it has downloaded all the videos that you have pre-scheduled. Compatible with all Mac and PC systems. When it comes to how to download YouTube videos as MP4 chrome, this software makes it a simple process. 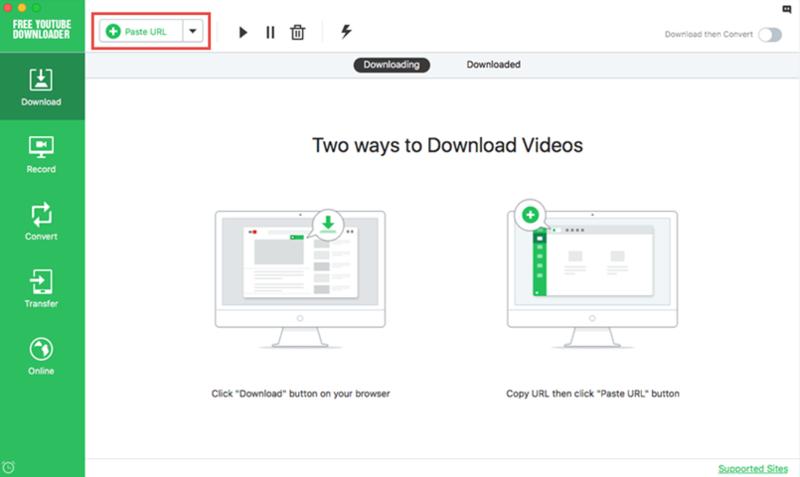 Here are steps to download YouTube videos as MP4 on chrome. Step 2. Once you have downloaded and opened the program, you have two ways to download the video. 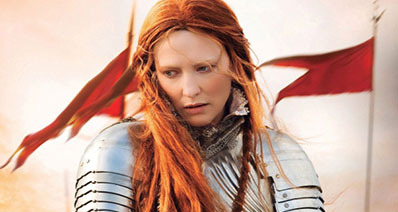 1) Download MP4 in 1 click. When you open the video, you will be able to easily move your mouse over your video of choice. Once you do this a "Download" button will appear, with the selected formats, right at the upper right corner of the video. 2) Download MP4 by using UR. -Copy the link of the video that you wish to download and click the "Paste URL" button of the program. The video will begin to download.